We’re only 2.5 issues into Inhumans vs. X-Men, but it’s quite clear to me that Marvel is still trolling the X-Men as hard as humanly possible. I’ve written about this before, and I don’t know why I’m surprised that Inhumans vs. X-Men is continuing the trend. Of course Marvel is trolling the X-Men in favor of the Inhumans. They’ve been doing it for years, and they’re quite good at it. My theory is this: Ever since X-Men: Schism, and definitely peak Avengers vs. X-Men, Marvel has been writing the X-Men as the clear, reasonable good guy in any situation, but they’ve been presenting the X-Men as the bad guys. It’s a clear case of history being written by the winners. Oh Kamala Khan, must they drag you into everything? It happened to Cyclops in Schism. It happened to the X-Men in Avengers vs. X-Men. It happened to Cyclops again in both Uncanny X-Men and Death of X. And now that the X-Men are going up against Marvel’s beloved Inhumans, it is happening again in Inhumans vs. X-Men. Join me after the jump to let me lay out my theory. And beware full SPOILERS for Inhumans vs. X-Men so far. Allow me to first set the scene for you all, in case you’re not familiar with what’s going on. Feel free to skip ahead if you already know the dilly, yo. The X-Men are mutants, the next step in human evolution. Mutants are born with the X-Gene, which manifests into a super-power during puberty. Mutants have been around for a couple of decades now, living among humans, even though the human races hates and fears them for being different. The Inhumans are an off-shoot of humanity. A bunch of aliens genetically tampered with ancient humans, and these new Inhumans walled themselves off from the rest of the human race to live in seclusion. When Inhumans are exposed to the Terrigen Mist, they develop super powers. For centuries, the Inhumans lived as a secret society, undergoing Terrigenesis as a religious experience to perpetuate their race. Then a couple years ago, the Inhumans were forced to abandon their seclusion and they exploded the Terrigen into the atmosphere. Since then, two massive clouds of Terrigen Mist have been floating around the planet, transforming any humans who have a trace of Inhuman DNA in their system. The Inhumans have embraced this new way of life, gladly recruiting all these new people into their society. But then everybody found out that the Terrigen Mist is lethal to anyone with the X-Gene. Most mutants exposed to these two clouds will immediately become sick and die of this vicious M-Pox disease. The clouds also render mutants sterile. So the Inhumans unleashed these clouds on the world and have embraced them as part of their religion, only it turns out the clouds are going to wipe out all mutants on the planet. It’s here that things get weird and the trolling begins. You’d think that it would be a perfectly normal reaction for mutants to want to stop these clouds. Doing so would effect the Inhumans’ religion, but it would save hundreds, if not thousands of lives. In fact, that’s what Cyclops, leader of the X-Men, tried to do. He and his team ignored the warnings of the Inhumans and vaporized one of the clouds. One of the X-Men even died in the process. No Inhumans or regular humans were hurt. The Inhumans promptly murdered Cyclops for his transgression against their religion. Cyclops was right. Pax Utopia. Since then, Cyclops has been painted as a full-on super-villain in Marvel Comics. Characters compare him to Hitler. All because he stopped one of the clouds. And the Inhumans have gone right on being the biggest new superhero force in the world. Nobody cares that they murdered Cyclops. Rather than risk any further bloodshed, the X-Men agreed to a truce with the Inhumans. The X-Men’s super scientist, Beast, would start working with the Inhumans to find a cure for the M-Pox while the Inhumans would try and clear any mutants out of the path of the remaining Terrigen Mist cloud. The X-Men as a whole would start living in the demon dimension of Limbo, a hellish place, but safe from the cloud. And this brings us, finally, to Inhumans vs. X-Men. It has been eight months since the truce, and Beast has found no possible cure for M-Pox. The first issue opens with Beast telling the other X-Men that there are only two weeks until the remaining Terrigen Mist cloud saturates the atmosphere, making the very air toxic to mutants. Beast says there are only two options: die from M-Pox or flee the Earth and live on some other planet or in some other dimension. The X-Men tell Beast that they have a third option: fight. If they can vaporize the second cloud, like Cyclops did the first, then they don’t have to die or leave the planet. Nobody will get hurt. It’s just a cloud. Old Man Logan lays it out pretty simply. Except, of course, that the Terrigen Mist is part of the Inhumans’ religion and they will slaughter anyone who stands in the way of that. Beast lays it out pretty simply too. I hate to be redundant, but I want to make sure we’re all completely on the same page here. Look at what they’re saying. Look at how convinced Beast is about the Inhuman response to attacking the cloud. The Inhumans are religious extremists who will slaughter anyone who stands in the way of their religion. Beast literally used the words “destroy us”. All the X-Men want to do is live peacefully on Earth. But the Inhumans launched a dangerous disease into the atmosphere that is killing mutants. The X-Men are fully capable of removing the disease without anybody getting hurt, but the Inhumans won’t stand for that. How is this even a conflict? How is this up for debate at all? Because Marvel is trolling the X-Men. You have to look at how the conflict is presented. Beast, one of the longest serving X-Men, who has always been a hero, is the one recommending that mutants run away, while Emma Frost and Magneto, two classic villains, are the ones recommending that mutants stay and fight. Look at how Emma, dressed in her black costume, is confronted by Rogue, another heroic X-Men who represents the heroic Uncanny Avengers in this issue. The heroic X-Man is alarmed at the suggestion, while the villainous X-Man is portrayed as mean and “warlike”. Then the X-Men put the whole idea to a vote. Do they flee or do they fight? Again, you’ve got to look at Rogue’s response. She is a true blue, classic superhero. She’s a member of the Avengers. Rogue is a good guy. She votes to flee. She seems to be forgetting the part where the Inhumans unleashed the Terrigen Mist into the atmosphere, that was no accident. And the part where they murdered Cyclops, longtime leader of the X-Men. Then it’s treated as shocking that the normally heroic Storm would vote to fight. The idea of the X-Men standing up for themselves and taking on the Inhumans is presented as a villainous plan hatched by Magneto and Emma Frost, who has been written as slightly unhinged since Cyclops was killed. The X-Men don’t even want to fight the Inhumans. They just want to destroy the cloud, but they know that the Inhumans will try to kill them if they try to destroy the cloud. Running and hiding, fleeing the very planet, is presented as the right thing to do in this scenario. Fleeing the planet? Come on! And what’s going to happen to any future mutants who are born? If the very air is toxic to mutants, and the X-Men are all off living in some other dimension, who is going to stop this mass baby extinction? And it gets worse as the story goes on. The second issue of Inhumans vs. X-Men is told from the perspective of the Inhumans. The X-Men have launched an all-out attack on the Inhuman headquarters. The Inhumans have been preparing for this possibility, since they did not have full confidence in the Beast finding a cure. So they are prepared to defend themselves. The entire issue is written as if the noble Inhumans are only defending themselves from the vicious X-Men assault. She was trying to help! Now die! See? The Inhumans were working with Beast! They were trying to find a way to stop the Terrigen Mist! But, of course, what they are willing to allow has limits. They won’t stand for the cloud being destroyed. Look at how the X-Men are being written in this issue. They are constantly having to remind themselves that they don’t intend to hurt anybody. It’s like they need to constantly reassure themselves that they are doing the right thing. Oh Storm, how have you fallen? Why? Why are the X-Men being written as so feeble? They’re trying to quell a sect of religious extremists who are hellbent on a form of genocide! There is absolutely no doubt: the Inhumans are being presented as the good guys in Inhumans vs. X-Men. Even though the characters explain quite clearly that the Inhumans won’t hesitate to destroy the X-Men if they dare touch their precious cloud, and even though the Inhumans have already murdered in their name of their religion, they are clearly being written as the victims here against the aggressive X-Men. Such is the skill and breadth of Marvel’s trolling. It’s mind-bogglingly cool. No matter what situation they throw the X-Men into, no matter how clearly and logically they establish the X-Men as being in the right, they will always present the scenario as if the X-Men are the bad guys. The Inhumans are willing to kill an entire species to protect their religious beliefs. They are the good guys. The X-Men want to stand up for themselves and peacefully protect their entire race. They are the bad guys. I don’t know how Inhumans vs. X-Men is going to turn out, but already it is another master class in Marvel trolling. This has been going on for years now. I truly applaud the masterminds behind this scheme. Posted on January 16, 2017, in Comics, Marvel, X-Men and tagged Inhumans, Inhumans vs. X-Men. Bookmark the permalink. 19 Comments. The one hole in this is that Black Bolt doesn’t actual kill Cyclops he killed a mental projection of him created by Emma. 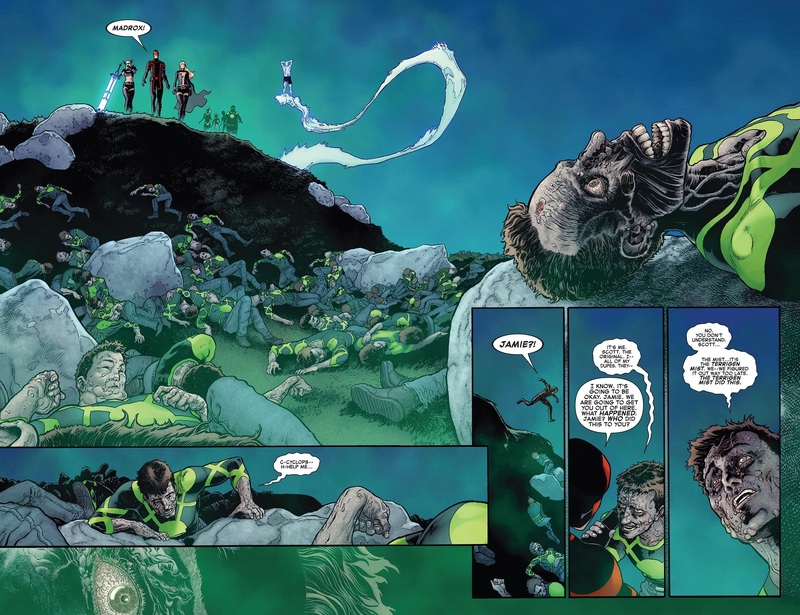 That’s the big reveal at the end of Death of X. Cyclops originally dies in the Terrigen Mist cloud on Muir Island with Emma masterminding the rest of the events of Death of X following this. Oh I know, but for all intents and purposes, as far as Black Bolt and the rest of the world are concerned, he killed Cyclops and everybody is still fine with it. And even if he wasn’t murdered by Black Bolt, he still died from the Terrigen Mist. They’re still at fault. Also, I’m pretty sure that Emma is going to be found out, and that’s going to be the catalyst for the other X-Men to turn against her and side with the Inhumans. Yeah, it’s plain to see it’s Black Bolt’s intention to kill Cyclops. It’s set up earlier in the issue, too – it’s not super spontaneous. It is actually pretty clear this is a play on the Israeli – Palestinian conflict, with even the obligatory references to Hitler. I’d posit the Inhumans representing Israel and Mutants the Palestinians. You even have the cross faction love story in Champions. Marvel isn’t the only one at fault here. Both companies in the dispute over rights are being dicks. 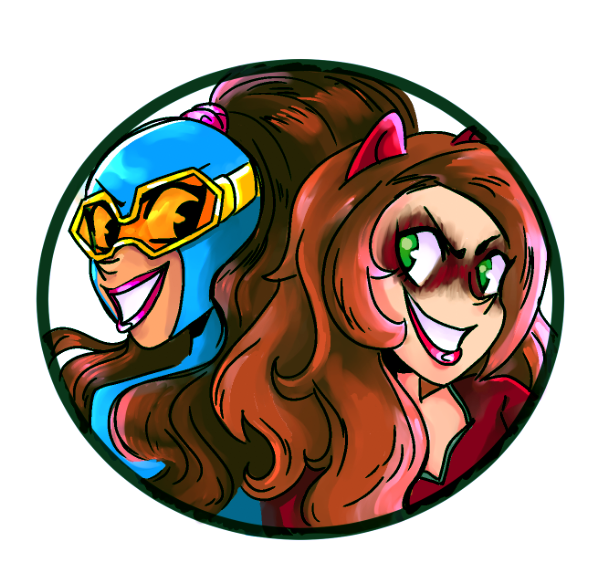 And actually I posit there haven’t turned on the X-Men with this. If you have any understanding of the Israeli – Palestinian conflict and what the writer described in the article, it fits even more. Israelis are embraced by the right wing because of the religious implications, not actual moral ones. You’d think it would be a perfectly normal reaction for Palestinians to want to stop the illegal settlement and treatment they receive. Terrigan cloud = settlements, Israels stranglehold on the Palestinian territories, and the disparate military reaction Israel uses in attacking Palestinians. Mutants = the oppressed Palestinians being driven from their homes, having their land stolen, and being systematically killed by the Israeli government. From previewing upcoming issues, it’s pretty clear that the X-men win. The Inhumans take off for space looking to uncover the secrets/origin of Terregenesis, while the X-men emerge from limbo and return to the status quo. While the Xmen were my favorite characters in comics since I got my hands on an issue of wolverine over 30 years ago, the inhumans are pretty awesome too. Overall, I’m very dissapointing with how marvel has handled this. -Terrebomb goes off, clouds circle planet, nu humans are born. -world freaks out, panic builds as people believe this to be a biological or chemical attack. -beast discovers the clouds are unstable. They are saturating the planet, but that they appear to be changing. In time, they will become fatal to mutants. -cyclops turns against inhumans, destroys the cloud that is closest to becoming fatal. Unfortunately, he is too late. The cloud had turned, wiping out thousands of seemingly normal humans who had latent x genes. He also manages to kill several nuhumans whom had been turned by the cloud. -the world turns on cyclops, fearing his attack on the cloud was an attempt to weaponize it against humans. Humans begin plans to wipe out the clouds, drive out the inhumans, and to capture the xmen. -this all creates a wedge between the inhumans and xmen. 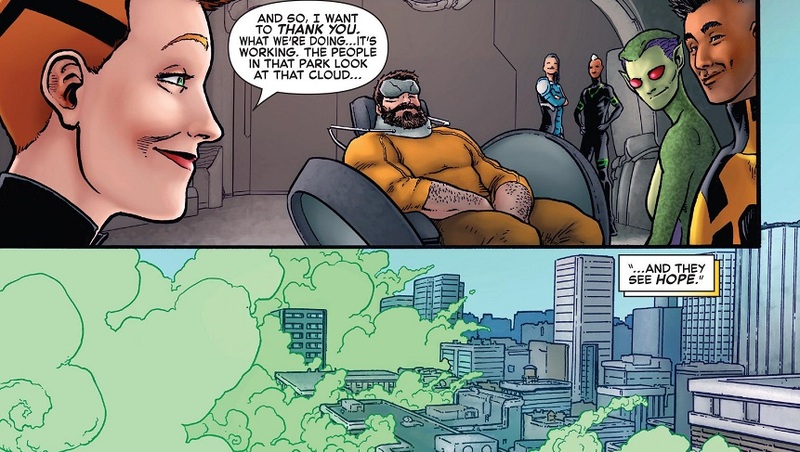 The Inhumans believe that they could have worked together to discover what was causing the cloud to change and to cure it, while also blaming cyclops for killing their people, destroying something sacred to their people, and for turning the world against them as they suspect someone has tampered with the cloud and that cyclops himself was behind it. -death of x should have been I vs x part 1, revealing all of this and ending with the xmen defeat at the hands of the inhumans. As blackbolt attempts to take cyclops in, Scott’s arrogance causes him to attack blackbolt. Blackbolt kills cyclops. -this should have gone the way it’s probably going to go, with the xmen having an advantage of surprise and ultimately winning with the destruction of the cloud. -only major difference, it’s discovered that Magneto and Maximus played a role in poisoning the cloud. Maximus provided magneto with the means to weaponize it, and magneto staged it in such a way as to make it appear that cyclops had done it. -their goal– Maximus wanted to turn the world against the royal family, making it easier for him to take the throne. Magneto had hoped the humans would blame the inhumans, creating a bridge for mutants and humans to rally together against a common enemy. -the story ends with them gaining access to maximus’ lab and curing the other cloud. It reaches saturation and breaks apart. With the cloud gone, fears begin to ease world wide. -both teams decide to merge, with xmen and inhumans switching teams to serve as ambassadors. Hell, they’ve completely ignored Wolverine’s (X-23’s) characterization and have her outright TRYING to kill Iso and Inferno, even though it’s been well established she no longer kills except as a last resort. Trump is the X-Men, Muslims are the religious extremists hellbent on a genocide. He wanted to stop travel from terrorist hotbed for 6 months until they can come with a better asylum process but the lefturds and the media called him Hitler. Let that sink in your empty skull.